The pleasure of reading history is that it’s so much more unexpected than the news. Who would have thought that one of the great philosophers of the enlightenment defended Oliver Cromwell’s massacres in Ireland? Or that he did so in ways that are commonly used to justify our own actions today? We don’t now argue about Cromwell as if he were a contemporary. When he slaughtered thousands at Wexford and Drogheda, this seems to us now an act of inexcusable barbarity; perhaps the kind of thing that only happens in religious wars – and the English civil war was certainly religious. The argument that massacring civilians now saves us from having to massacre more of them in future is absolutely central to the end of the second world war. 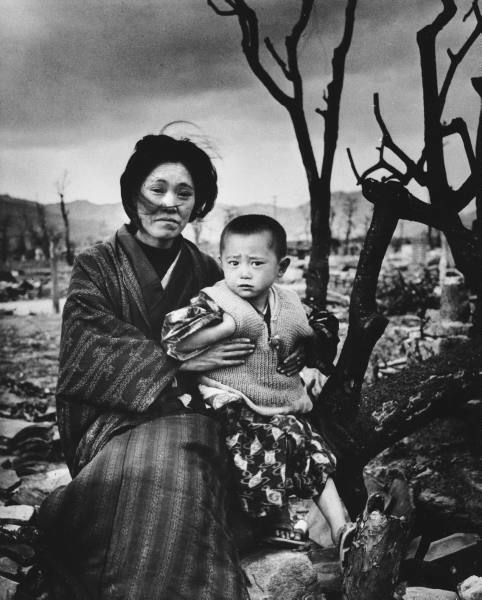 The justification for bombing Hiroshima and Nagasaki was exactly that hundreds of thousands of deaths immediately were morally better than millions later. I know that some of the allies were not much concerned about Japanese deaths – only about their own – but some among them were concerned about all the casualties of war, on either side. I happen to believe this calculation was correct. I also think that the related calculations of the cold war, about deterrence, were morally correct. They did avert the use of nuclear weapons, and that was the right thing to do. Of course, you need far fewer weapons than the world now has for a deterrent to work, and to deter, but that’s another argument. What matters is that to threaten convincingly great civilian suffering can sometimes be correct; and you can’t make a convincing threat unless you are prepared to carry it out. But I have to admit this argument makes me uneasy. This is partly because the lesser of two evils is still very much an evil. It is also because it makes the justification of an action consequent on its success, and that cannot be foreseen. Suppose your act of calculated terror fails to frighten the enemy into submission. What then? More terror? This is clearly a case in which a mistake is worse than a crime, or adds to it. Yet the alternative, absolutist position which holds you should never do certain things, however good the consequences may be, seems an evasion of responsibility. I do in fact take an absolutist position on torture, and certain other human rights. I’m much less sure it is generally applicable. Questions of this sort are one reason why the doctrine of Original Sin makes sense to me. It is an attempt to account for the indisputable fact that we live in a universe where some moral choices are both unavoidable and more or less all bad. It may not be a successful attempt – and in any case, it’s not an answer, but a way of thinking about the problem – but it is better than denying the reality it tries to explain.